Head over to get this Bento Food Container Set for ONLY $14.99 Shipped (Retail $28.95)! 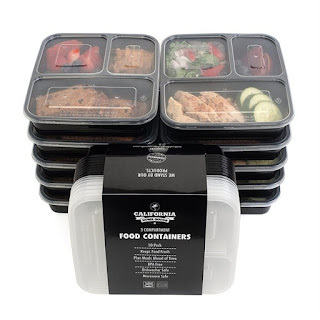 High-quality food containers built to last so that you can reach your fitness milestones. 10 food containers per pack. Each California Home Goods meal container is built with high-grade plastic to enhance its durability and flexibility. Wash ‘em, fill ‘em, stack ‘em in the freezer and repeat. They’re the perfect complement to your new healthy lifestyle.